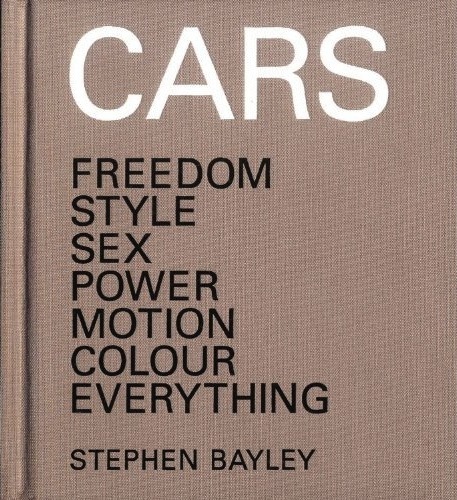 It is obvious from the 25-page introduction titled “Nature builds no machines” and the minimal text accompanying each car that Stephen Bayley considered carefully each word he wrote. Your reviewer first became aware of Bayley with the 1983 publication of his book Harley Earl. Then this Londoner was the director of a foundation at the Victoria and Albert Museum, as well as a journalist/author/critic specializing in automotive design. Over the ensuing years he’s consulted with major manufacturers worldwide while continuing his commentaries on art and design, in print and on-air. While it is clear that Bayley identified the cars that would be presented, accomplishing the just-for-this-book photography was the exclusive domain of Tif Hunter. Hunter created a special traveling studio in order to control shadows and external visual references so that images of all cars present equally. Well, almost. Understand that this book was conceived, written, printed, and photographed entirely in the UK. 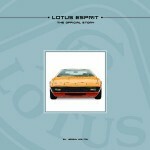 And the cars photographed were all domiciled in the UK, regardless of make, model, or year of manufacture. That translates to fewer of any given year/model from which to select. Hold that thought a moment. Auto-centric readers of books and magazines devoted to the topic, and who attend concours and shows are accustomed to seeing perfect to over-perfect examples of…whatever. When examples from which to select are limited, less than perfect specimens suddenly become acceptable. 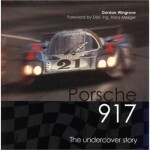 Such is the case with a number of the cars—significant for their design—that are portrayed on the pages of this book. What to do? What to do? The solution was ingenious and, as mentioned earlier, “designerly”. All were photographed in full color. But there is not one single page in this nearly 400 page book that is printed in color. Every photo was printed monochrome. Thus unless you really look closely, the pits and blemishes on chrome, or the wavy lines of a less than straight body panel, the not quite clean tires, even the rusted (some pretty badly) rocker panels, are not “in your face” visible. This book definitely has merit. Repeatedly, with each turn of the page I thought what a tremendous “grown-up” gift this book would be for a young person—male or female—with dreams of making a life, building a career, designing things (yes, anything, but certainly those longing to be part of the automotive-design community). While the text is instructive, it is not lecturing or boring, and a reader gains understanding and perspective of the global evolution of automotive design over a century’s worth of decades. It is edifying and enjoyable—Industrial Design, the Automobile, 101. Spend—purchasing, reading, and contemplating what you read and see. You’ll be well repaid.